Ende’s second half the split is noticeably weaker. Extended ambient keyboard bridges show the band has not come around to the same anti-keyboard epiphany as Sorcier des Glaces did years ago. Too many of their riffs and melodies are essentially “me too” riffs you have sworn you have heard before played by certain Swedish metal bands from Gothenburg. A lethargic cover of Bathory‘s “Call From the Grave” and seven minute ambient outro do Ende no favors in comparison to the Sorcier des Glace’s music on the first half. Ende’s work deserves a “C” grade for barely competent as Stephen Cefala would say. 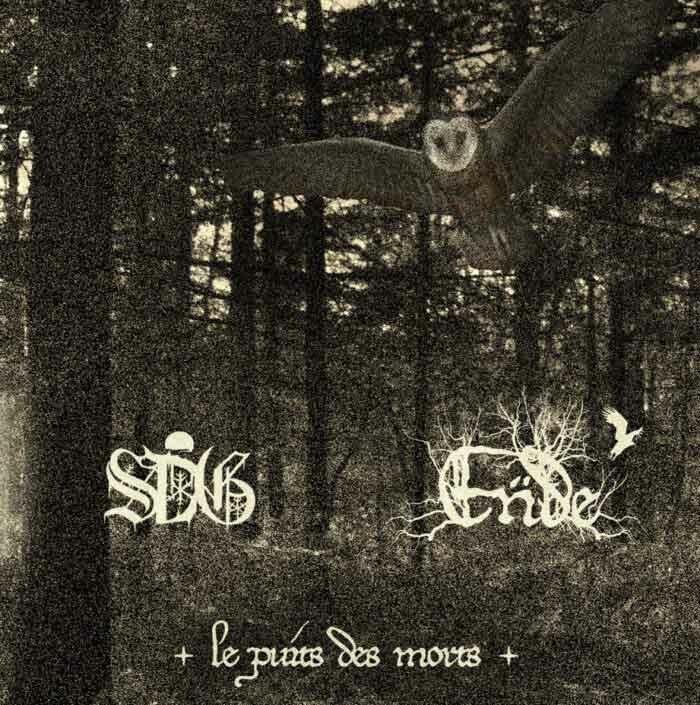 Le puit des morts is worth listening to but illustrates the problems behind almost all split releases: one band’s work is always superior or more dedicated than the other’s. Nobody will listen to the phoned in second half more than once. If this split was short enough to release on vinyl, the record simply would never be flipped over and Ende’s work on the B-side would rightfully languish out of sight and mind instead of necessitating the listener mash a button to restart the CD or digital playlist. Yikes. The Ende tracks are not even worth hearing once. They were worse than expected. So far the SDG songs sound solid but seem to be following the spacey, passive style that was present in North’s weaker moments. At least they’re interesting enough to listen to more than once. SDG is SDG and it gets better after the first track. This needs to be a vinyl with the Ende tracks not included. Listening to this got me to wondering about the point of doing digital splits. Splits make practical financial sense when physical distribution is involved but the only reason to do a digital split that I can think of is to be able to charge more than you could for a single band’s EP. Nice Herzog quote. Actually opens up a lot of deeper connections in SDG’s music. Also confirms my suspicion that that SDG hate poultry to a mythological extent.